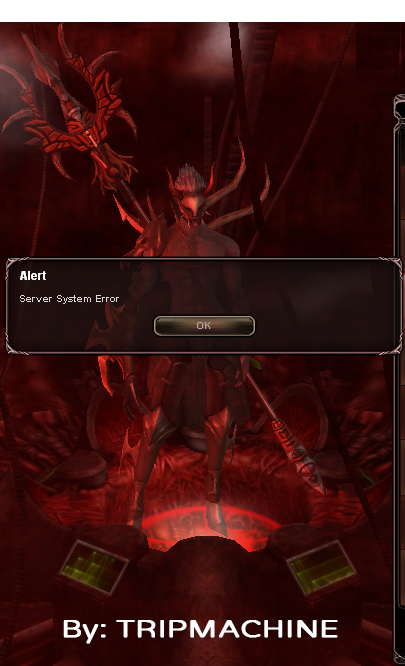 Please fix server error! you ain't nothing to loose but WE are! I pay for this game! waited long enough! Been a long day for me wasting time! Server is up! Awesome Support! Edited by xxSTEVE21xx, 24 November 2018 - 09:51 PM. Already 2 hours, and the error is not corrected, it speaks, about the disregard for the remained units of players. No notification on the forum, not information. I just don't. Wasting EXP SCROLL , Pet Extension , CM to better Drop of Legendary Samples should be hours left may extend this is your fault developer so compensation will be allowed . The issue is currently affecting only Trifri, and has been reported to the Requiem Team. Also, the status update you have been looking for. As far as I know, Chance Makers will be compensated, as long as they were used just before the server error occurred and should not have yet expired before that time. For that you need to write a ticket to Support. Compensation will be for 3-4 hours of technical works not according to the plan ? You need to report issues so that the Support staff and the Requiem Team are informed about the issue. Just like someone told me about this issue so I checked the game and the forums then reported to the Requiem Team. If no one tells them/us, what will they try to fix? If you lose an item and just ask Support to return your missing item, if you don't tell them exactly what the missing item is, what will they try to look for? Do you understand what I am trying to say here? As for compensation, as I mentioned, I am only sure of the Chance Maker. As for the other items, you'll need to ask Support about that. Unless you want them to guess what you want then good luck with that. But if you really want to know, as per my experience, they do not restore lost 'pet days'. Did you tell them what item you wanted restored? Keep in mind that they will only consider restoring items such as Chance Makers as I described above. PM me the ticket number and I will follow up with Support. By the way, this issue has already been resolved some hours ago.